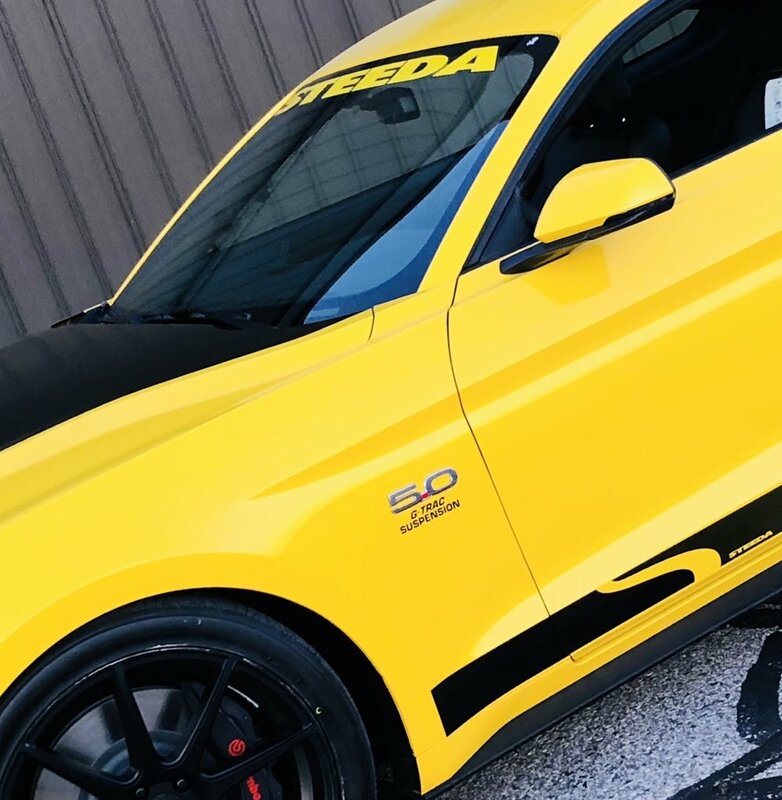 The Steeda Distinction – the heart of every Steeda lurks beneath the skin where we employ strategic suspension, powertrain, and chassis improvements to deliver performance far beyond that of any mere stock vehicle. While the heart of these key Steeda modifications are often hidden, unmistakable design cues that are strategically integrated into each vehicle we manufacture reveal the true nature of the beast. 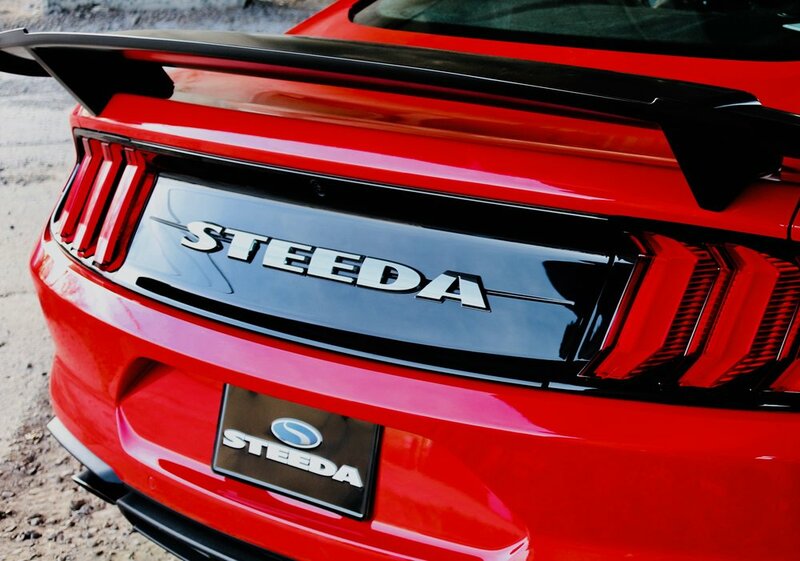 Seen from the outside, our sharpened profile, aerodynamic improvements, aggressive graphics, and exacting technical details clearly distinguish a Steeda from a Ford. Even when parked, our vehicles clearly communicate their one true purpose: Pure Driving Performance. Every official serialized Steeda Performance Vehicle has a unique plate fastened to the vehicle in the engine compartment – guaranteeing that it is an official product of our performance garage. Seen from the outside, the first of many visible cues will be our unique two-tone STEEDA windshield banner affixed to the top of the windshield. In other key visually-dominant areas of the vehicle we will also affix additional badging that may include our unique Steeda logo. We also accent the sides of some Steeda vehicles with our iconic Steeda sidewinder stripes. This distinctive stripe fades as it goes to the rear of the vehicle and encompasses the famous Steeda “S” curve that represents the open road.